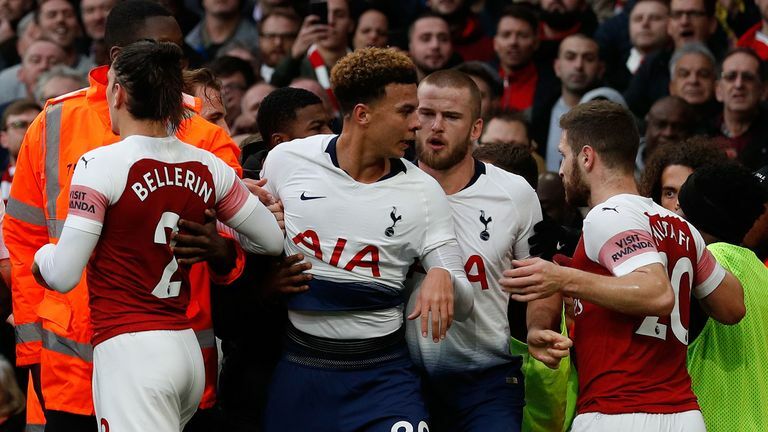 Unai Emery believes his Arsenal players have made a connection with the fans following their thrilling 4-2 victory over Tottenham on Super Sunday. 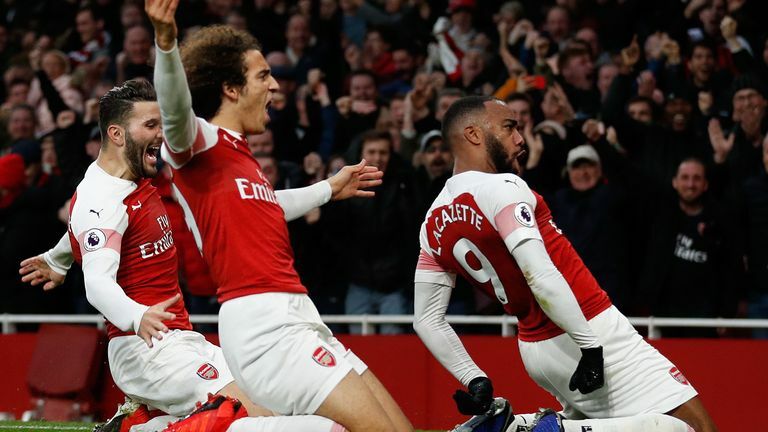 Arsenal are now unbeaten in 19 games in all competitions following the epic affair at the Emirates, with the Gunners noticeably improving under Emery following Arsene Wenger's departure in the summer. Emery praised the support after the derby win, and said atmosphere played a part in coming back from 2-1 down at half time. He told Sky Sports: "I think our process and today our supporters here, the atmosphere was very good and they push a lot for us. In a difficult first-half moment we keep the calm, and we said in the dressing room that we had good moments in the first half. "It's the reason every match is an important three points. For the supporters it is a special match, and for us to also because we want to give them a special match. I think they connected with the supporters today. "We watched Tottenham last week at home against Chelsea, a very big performance with their supporters. Here we weren't speaking about that, they are different matches. "We could change the performance for us, in a positive, and break the moment for them. It's not easy, but with our supporters, we can do that." Emery made swift changes at the break, bringing on Aaron Ramsey and Alexandre Lacazette for Alex Iwobi and Henrikh Mkhitaryan, and the Spaniard explained how both made their impact. "First was to change something. Because I think we need in this moment something different on the pitch. Aaron knows this derby, and his speed is important for us, and second is Laca, for chances in the second half. He showed us that." Despite the thrilling second-half display, Emery still wants more, and is looking ahead to a huge clash at Manchester United in the Premier League on Wednesday. "I want to do more. Last week three points in Bourmemouth is the same, the same in the table. I said we needed to win first in Bournemouth, because with three points we had the possibility to overtake them in the table. Without that win in Bournemouth, you lose that possibility. "But now I am thinking Wednesday at Manchester United."